Where do you build your PLN? PLN (Personal Learning Networks) have grown in prominence and importance tremendously over the last few years and with good reason. They are a great way to extend your professional network beyond your physical environment and tap into a huge wealth of knowledge about your profession. This makes them one of the most effective autonomous means of developing your own teaching in a way that is most immediate and relevant to your ambitions. Building an effective network though, is dependent on knowing the right places to go, which tools to use and how best to use them. With technology changing and new tools developing so rapidly, this can be a challenge to keep up with. With this in mind I have launched this quick research survey to find out where you prefer to build your networks and what the pros and cons of each of those networks might be. Please feel free to add your suggestions, pros and cons, and vote for the ones you find most useful. You maybe asked to register when you submit and idea, but you can just click on the X in the top right hand corner of the window and continue. I hope you find this information useful and continue to build your network. Recently, while dong a workshop on mobile learning, I had a participant who had just bought an iPad and was upset because he couldn't easily switch between a website he was reading and a word processing program. He wanted to do what many of us do on a desktop or laptop computer and copy paste sections and quotes or take notes. 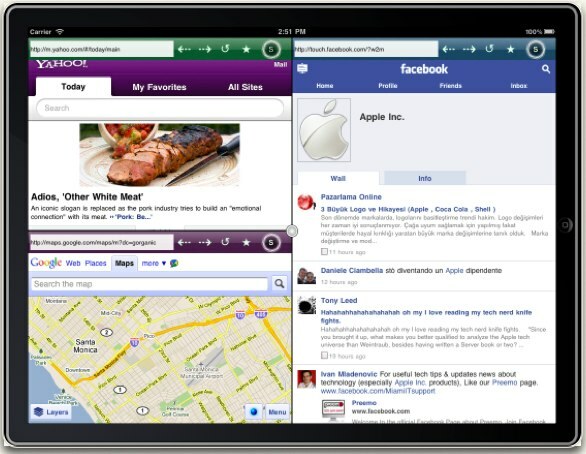 After some research I found the Side by Side browser. 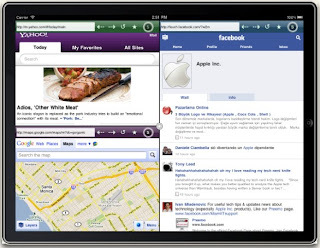 This is a simple free app that you can download to your iPad (Sorry, no Android version) which allows you to have a browser window open in one half of the screen and a note taking app in the other half. You can type notes then send them to who ever you want or store them in DropBox. Here's a short video tour. This is a really useful app for those students with or wanting to develop their digital literacy and study skills to the iPad. I hope you find Side by Side useful. What do you feel are the key digital literacy skills that 21st century learners need? Digital literacy has become one of the major issues facing educators in this early part of the 21st century. The need to develop students and teachers digital literacies has become increasingly accepted as fact and yet most teachers' and students' understanding of what exactly constitutes a digital literacy still seems to remain quite vague. Even more vague seems to be teachers' understanding of how precisely we go about developing those literacies. For some it is simply a matter of 'using' the hardware and by teaching a lesson that involves the use some form of new technology some teachers feel they are fulfilling their responsibility for developing their students' digital skills, but for some teachers developing digital literacies involves far more than coming to terms with the newest hardware gadget. So to try to identify what precisely those digital literacy skills are that we should be helping to develop I've launched this crowd-sourcing questionnaire to collect and share opinions from teachers around the world. Please read it and by all means contribute ideas and arguments for or against the various digital literacies outlined. Also feel free to leave questions in the comments below. I saw this website today and thought how great it would be to use it in the classroom for developing words related to places and describing different places. 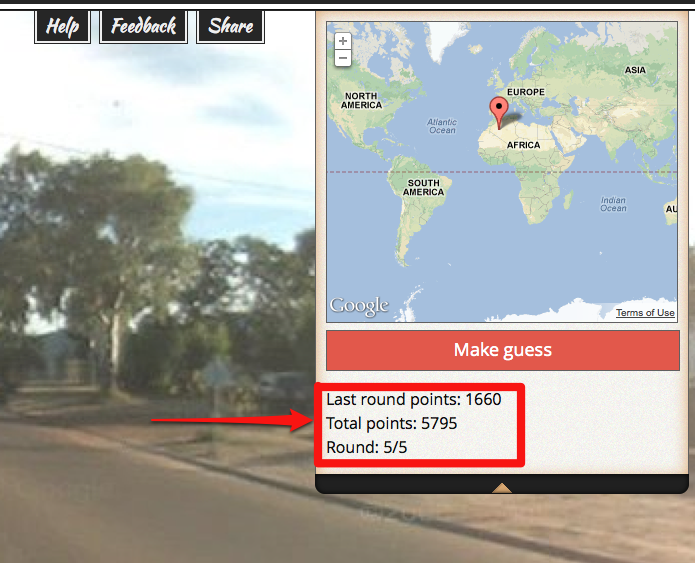 The site GeoGuessr is actually based on Google maps and it's a simple game. You see an image of an unknown place somewhere in the world and you have to guess where it is and click that place on the map. 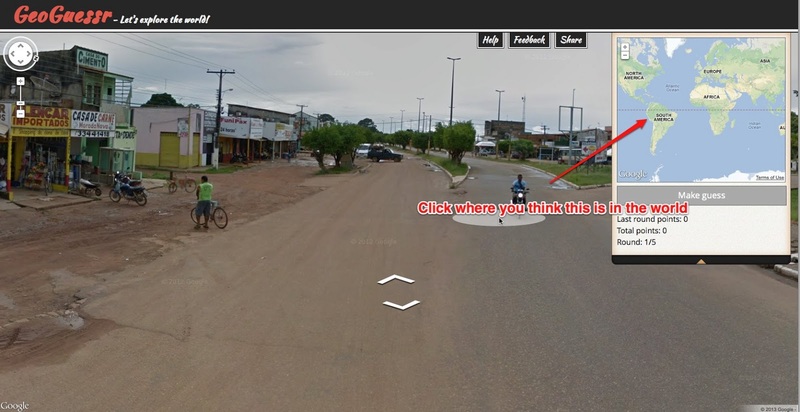 Because this is based on Google maps street view you can actually explore around the image and look for clues. Once you click on the map you will see the real location and how close or far away you were. 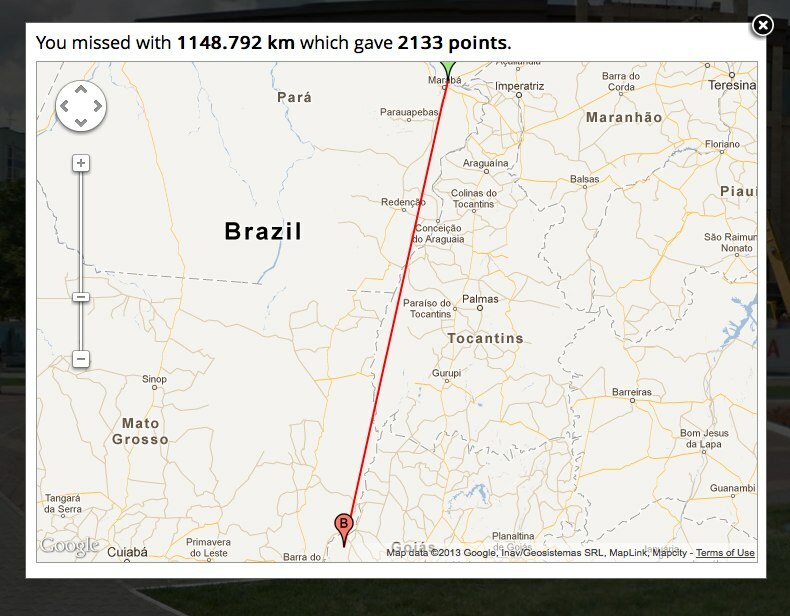 You are awarded points depending on how close you are to the real location. You have five turns to score as many points as possible. The game itself doesn't really involve any language input or output, but you can easily add that. If you are using it in a single computer classroom you can show students the image and ask them to guess where it is. Ask them to justify their answers by describing what they can see. This way you can also practice modal verbs such as 'it may be', 'it might be' 'it could be', 'it must be' etc. If students are working on computers you can put them in pairs and get one student to describe what they can see and the other student to listen and try to guess where the place is. You could get students to make some notes and brainstorm words related to each of the places and then write a short description of each of the five places as though they visited them during a round the world journey. For lower levels you could just play the game and get the students to call out the names of the places. This a is a great way to bring the world into the classroom. Students can really explore inside the images and pan around to look for clues. It's fun and a little bit addictive. It's an engaging and unpredictable way to get students interacting with content. For a while now I have been increasingly interested in using infographics in the design of the learning materials and courses I create for students and teachers. 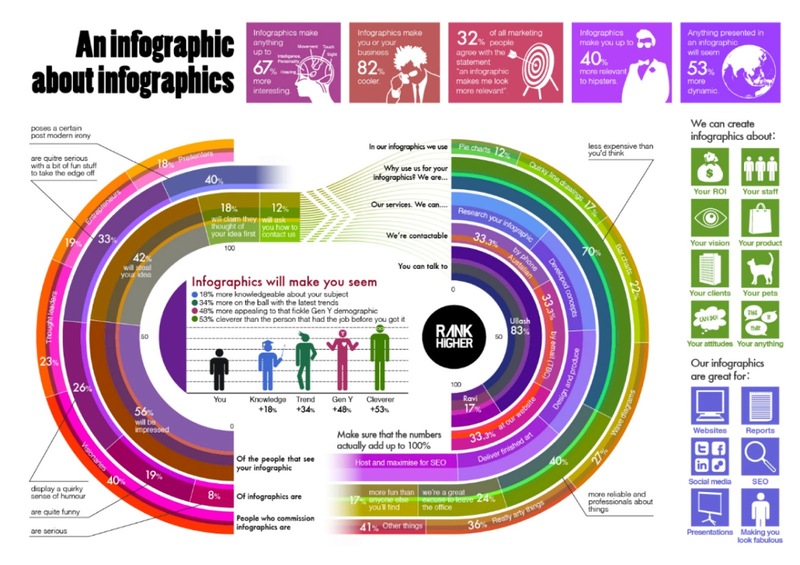 For those of you who haven’t encountered the term ‘infographic’ before, an infographic is a visual representation of, what is often, quite dense statistical information. This is the kind of information which can be very difficult to read as prose / text, but which, when transformed to a visual, can become accessible very quickly. If this explanation isn’t clear then you can click on the infographic about infographics and get an example which should make some of the benefits of infographics a bit clearer. There are a few reason I believe these infographics are so useful for language teaching (especially online) materials. They convey a lot of information using a minimal amount of language. This can make them useable at quite low language levels where intelligent materials for adult learners can be hard to find. They are visual and the visual and mathematical / statistical aspects can help to convey meaning. They are much easier to read then dense text on a computer screen. 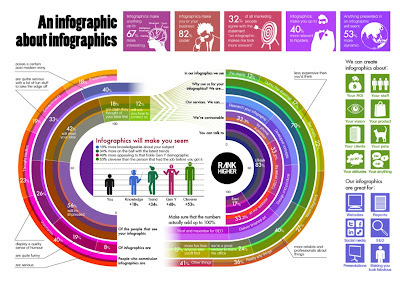 You can find infographics quickly and easily on almost any topic. They are great preparation for EAP students who will have to deal with dense information in their studies. Finding infographics is quite simple. There are quite a few sites which specialise in publishing them. 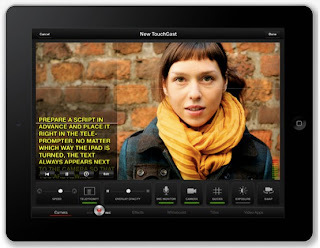 Visual.ly has huge collection and they are easy to search and locate. Daily Infographic also has a huge collection and if you sign up on the site they will email you a new one every day. Cool Infographic is also quite good. Failing all of these sites, you could just go to Google and type in any topic followed by the word infographic and then when you get the results go to ‘images’. This never fails to pull in something of interest on the topic. Once you have found the infographic you want to use, you’ll need to design a task. Here are a few generic tasks that could work with many of the infographics and don’t require you to do any preparation. Find 5 - 10 interesting facts in the infographic. Try to check some of the information in the infographic to find out if it is true or false. See if you can find a secondary source to support the information. Write up some of the information in the infographic as a summary text / report. Give a spoken presentation to the class using the infographic as support. Produce a quiz about the infographic to check the understanding of other students in the class. What information surprised you most in the infographic? If the infographic is a survey you could get students to compare the statistics in the infographic with an analysis of their class using the same questions. Here is an example of an infographic which I used with an adult class to do a similar thing - Have you ever? As you can see it is very similar to ‘Find someone who’ and lends itself to practice of present perfect and past tenses. Use of infographics isn’t confined to receptive understanding though, there are also a number of free tools which can help you to produce your own. My favourite of these is https://www.draw.io/ which has a great collection of icons and images as well as the usual shapes and symbols. You can search through these easily and just drag and drop them onto you page, then either save it as an image or store it on Google Drive. 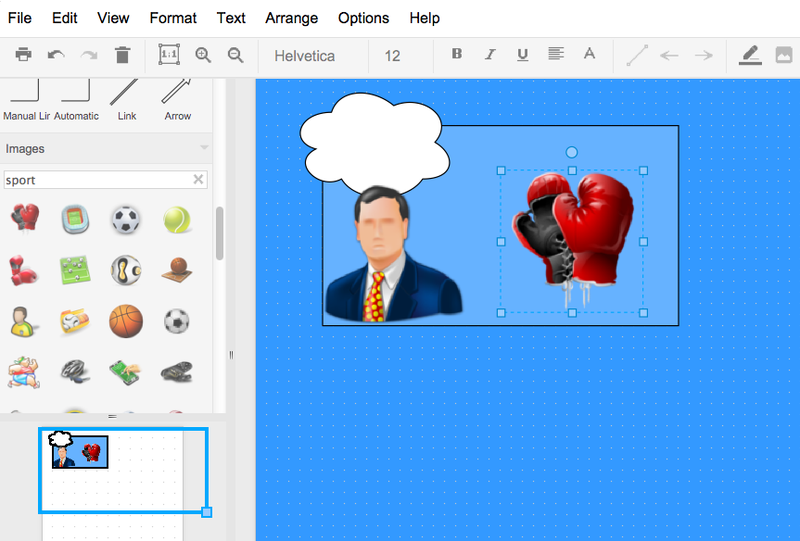 Again there are lots of tasks you can use to get students creating their own infographics. Here are a few. Get them to create an infographic based on a text they have read. This could include relationship map of the characters, timeline of events, actions that took place in particular places etc. 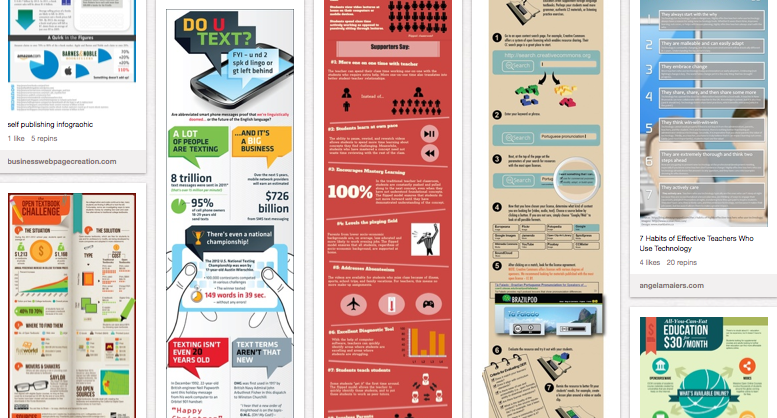 Get students to convert a text which has statistical data into an infographic. This could be based on a classroom survey or could be something from a business magazine etc. Get students to create mind maps of words based around topic areas and add visuals to them. They could create an infographic of information based around a verb tense. This could include timelines and illustrated example sentences as well as breakdown of form and pronunciation features. These are just a few of the ways I think we could and should be exploiting infographics with students. I hope you find them useful. Over the past year + I have been using Pinterest to collect together the infographics that I feel have potential for exploitation in teacher training or language training materials. You can access these below. How do you play? is a marvellous site with the instructions for a wide variety of educational and entertaining games which can be used to practice and develop language skills. Each game has some basic information about how long the game will take and what materials are needed, followed by clearly written instructions for how the game is played. You can also vote up or down the games you try. There are quite a few games that you can use in the language classroom. Here are some of my favourites. This is a great resource to exploit with language learners and not just by playing the games with them. 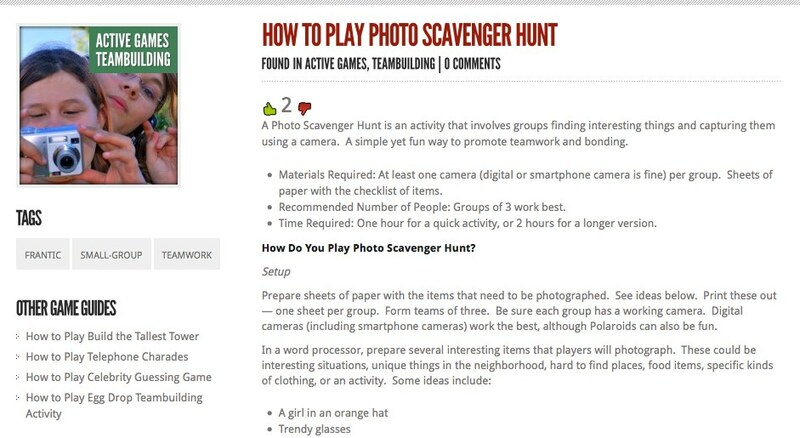 Get the students to read an entry then teach other students how to play the game. Get students to follow the model and create their own written game instructions for a game they know. Get students to read and select a game they would like to play. Copy the text of some instructions, cut them up and get students to organise them in the correct order to play the game (You can use Paragraphy to do this). 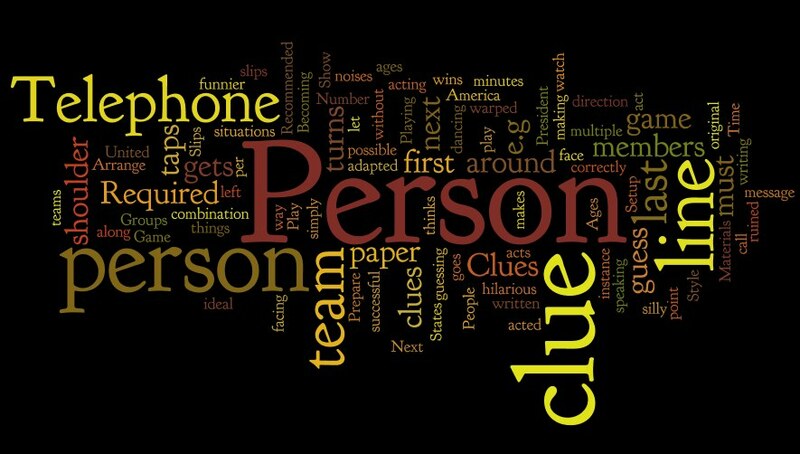 Create a Wordle image of the game instructions and see if the students can use the words in it to recreate the instructions after they play the game. Here's an example of telephone charades. All learning starts with games and play, but a lot of the time that element of play gets lost as our children grow older and education becomes more of a serious process of cramming for exams. How do you play? has lots of materials that can be used to bring playful learning back into the classroom and make it a much happier and more language productive place. 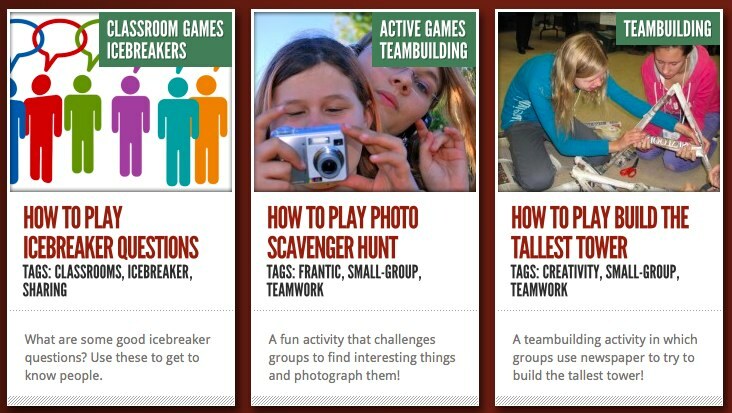 I hope your students enjoy these activities.